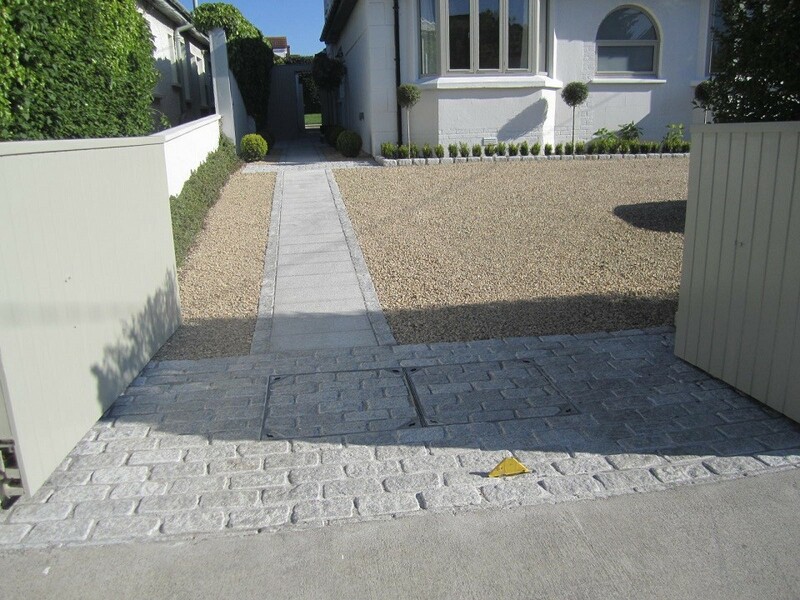 I won this landscape contract in Mount Merrion, Co Dublin through a recommendation from a previous landscaping contract in Dalkey. 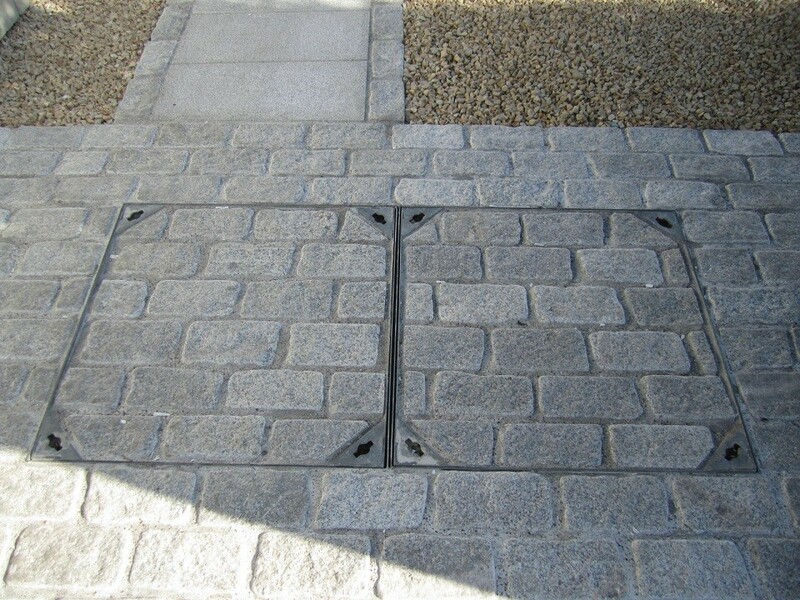 On first site visit the front driveway was all grey concrete cobble with two recessed manholes at the entrance. 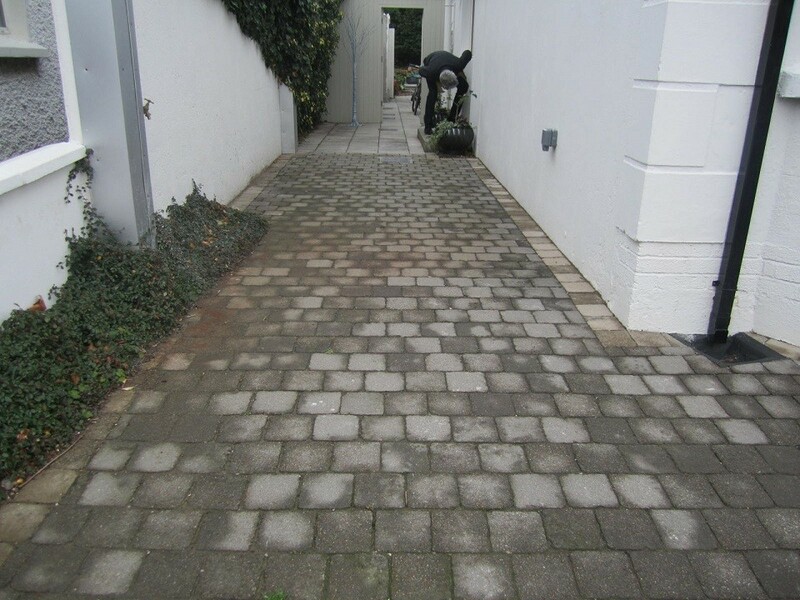 The cobble was dipped and uneven from use over the years and finished tight to the house. The appearance of the area was harsh and cold. 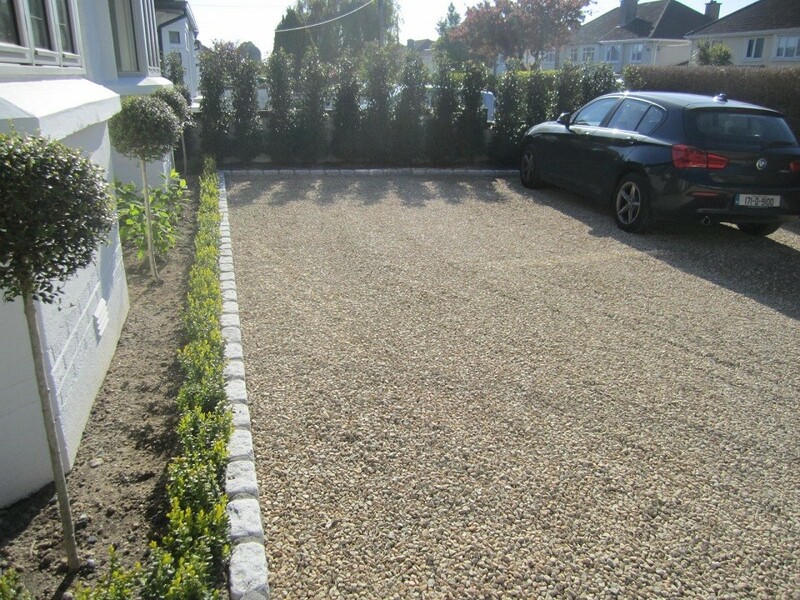 A bed lined with granite boulders and planted with overgrown conifers and shrubs lay to the right and a mature Privet hedge provided privacy from the adjoining road. 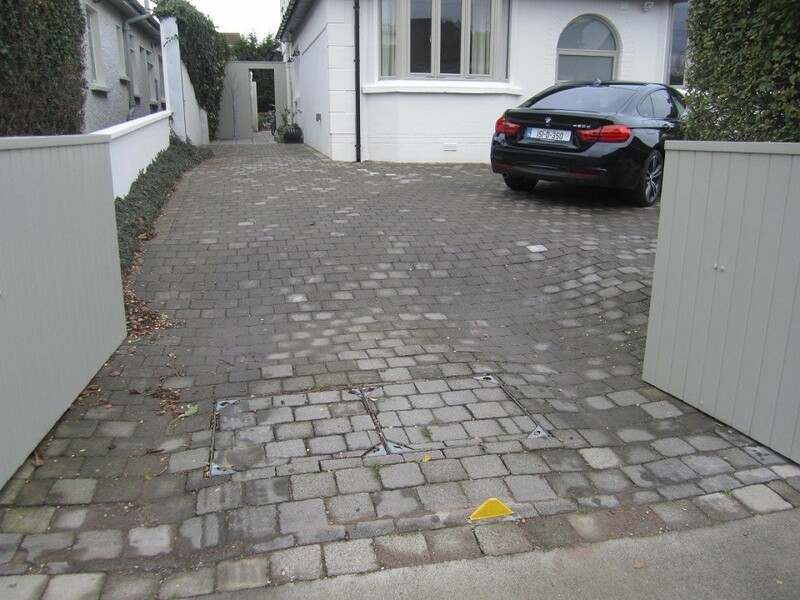 The normal position of the door compared to the neighbouring properties had been re-located to the side of the house where the cobble gave way to 300x300mm white concrete patio slabs. 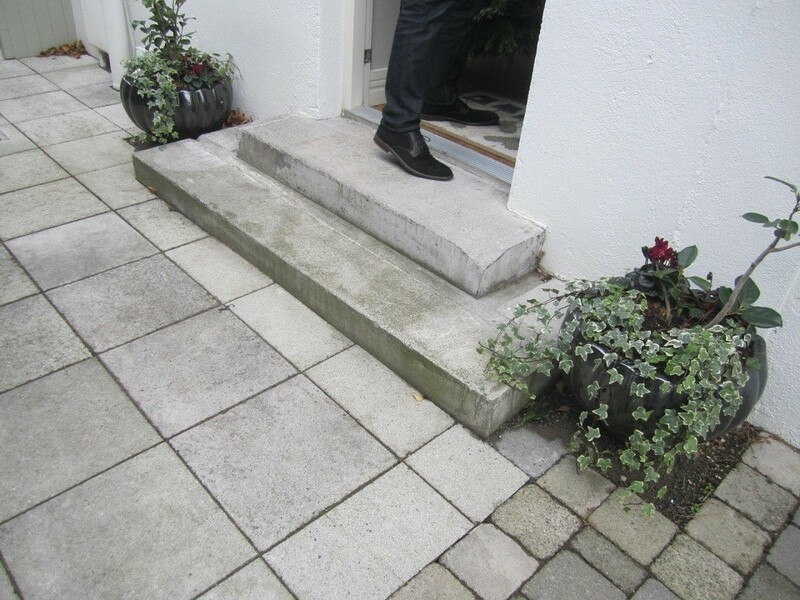 The step to the front door was plain concrete. 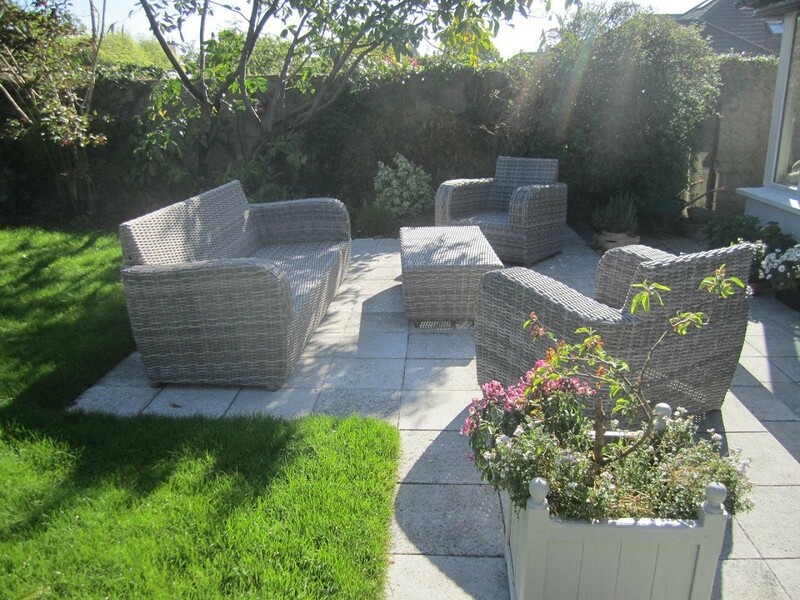 The white slabs continued through to the back garden creating two steps up to a 2.1M verge. 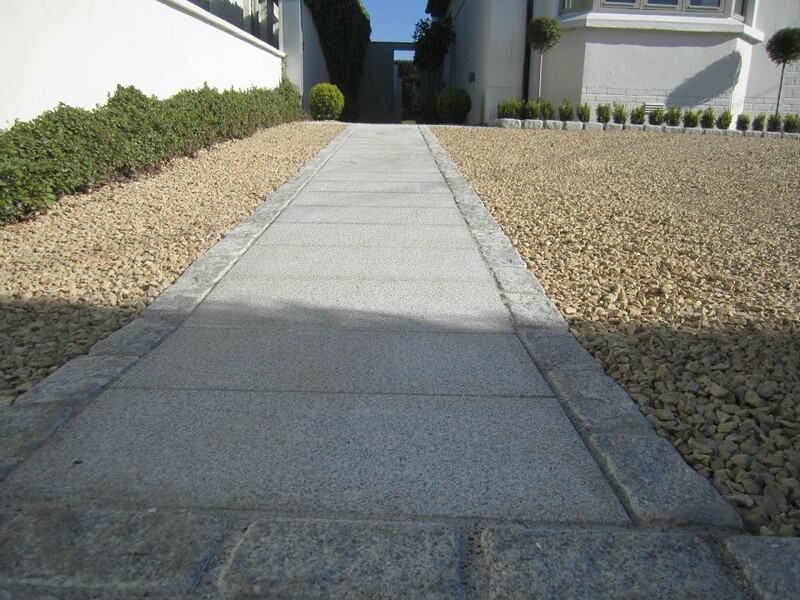 The slabs up to and including the steps were fine but a mature Cordyline planted in the centre of the upper verge had dis-figured the paving. 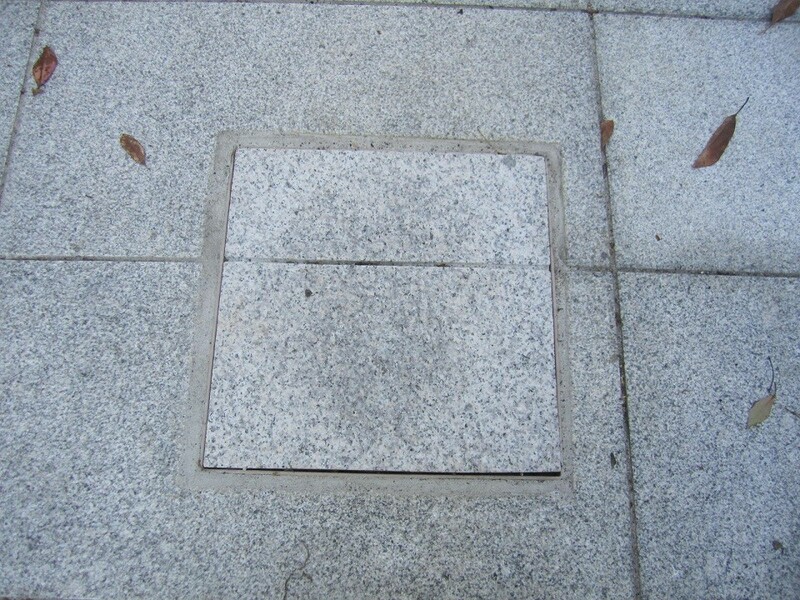 This Cordyline would have to be removed and the paving re-layed. 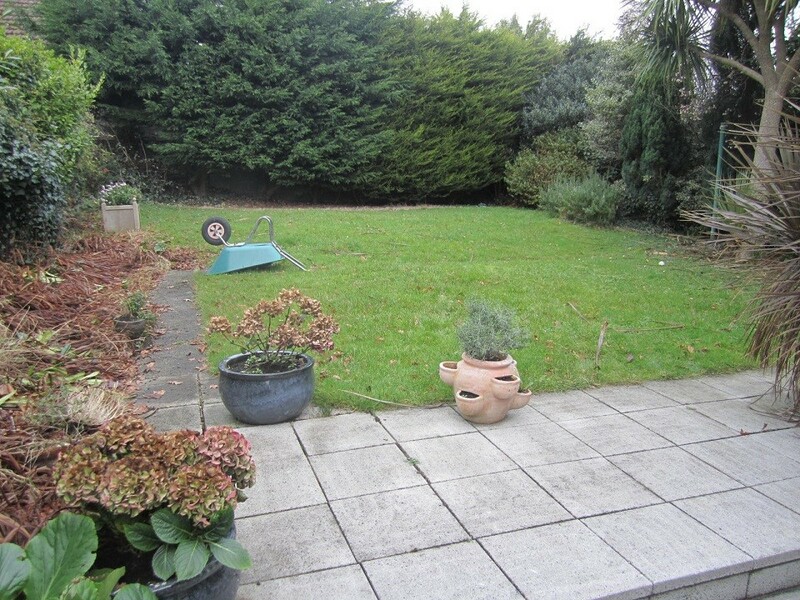 The lawn was in a bad state of dis- repair with a large hollow in the centre and a concrete path leading through it. There were beds both sides of the lawn overgrown with various shrubs and conifers. The bed to the left had been overrun by Montbretia. Montbretia a is very invasive species, producing hundreds of tiny bulbs and very hard to control. 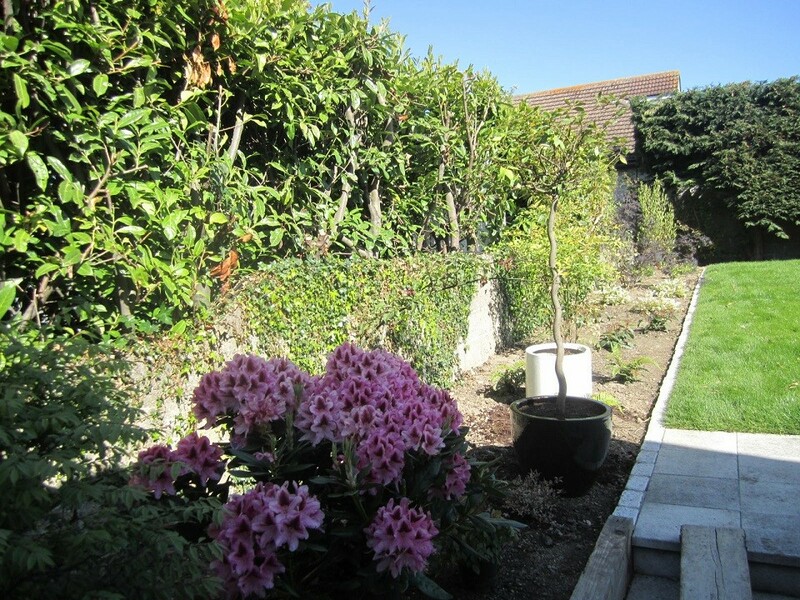 There was a tall conifer hedge to the back which afforded good privacy. Armed with the above I created a simple scaled garden design for the front and back of the property. The front design was based around directing traffic to the side door. 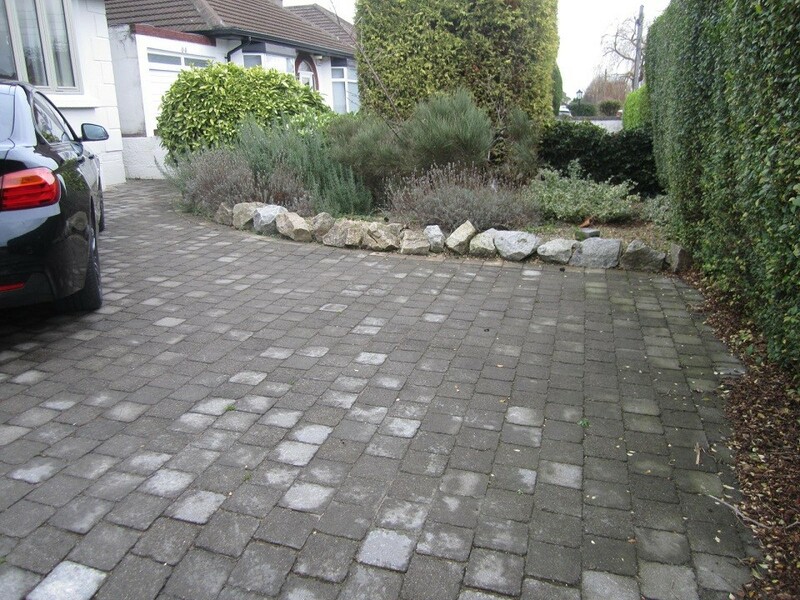 This was achieved by path and planting to frame the approach. 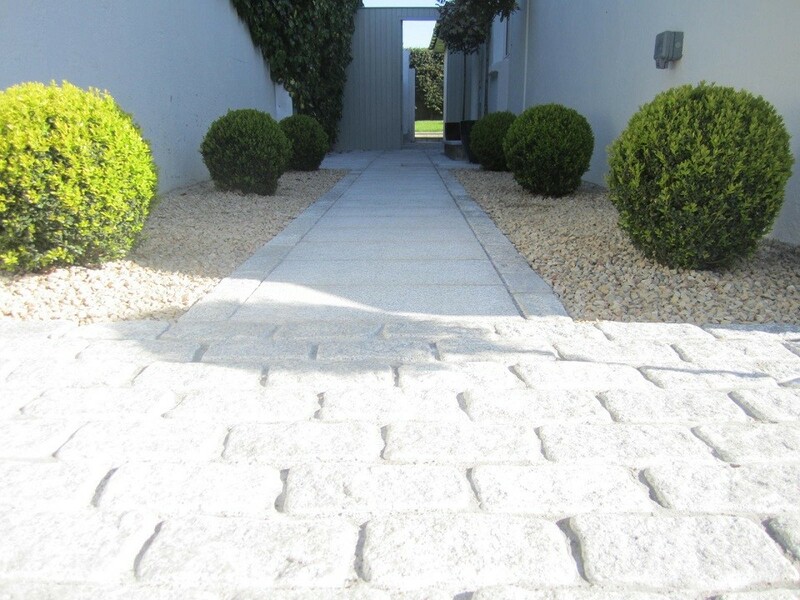 To the right was the gravel parking area with room for 3 cars surrounded by raised silver granite cobble beds. 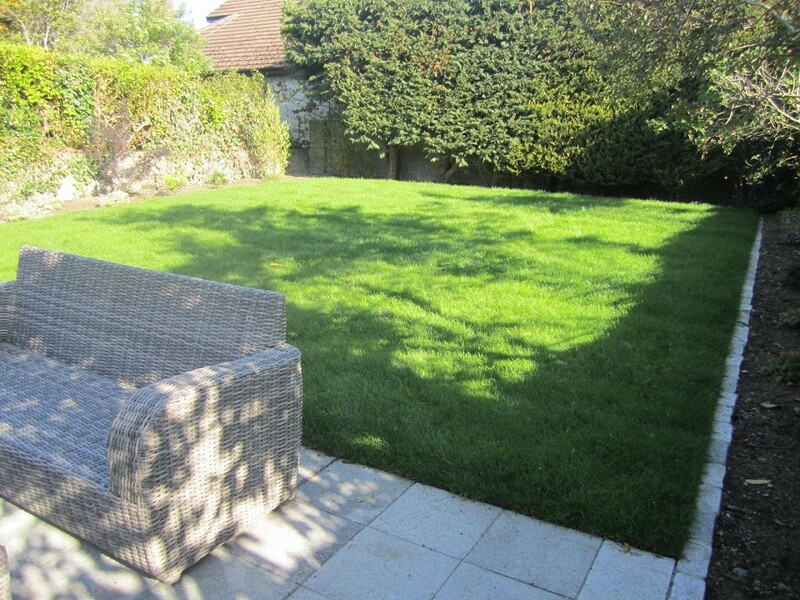 The back included the extended patio with rectangular lawn and mowing edged to define the space. Cables were installed for future garden lighting as the budget would not allow. In keeping with the low maintenance theme the plants chosen were mostly flowering and variegated shrubs. Further colour would be achieved with bulb planting in the coming fall. 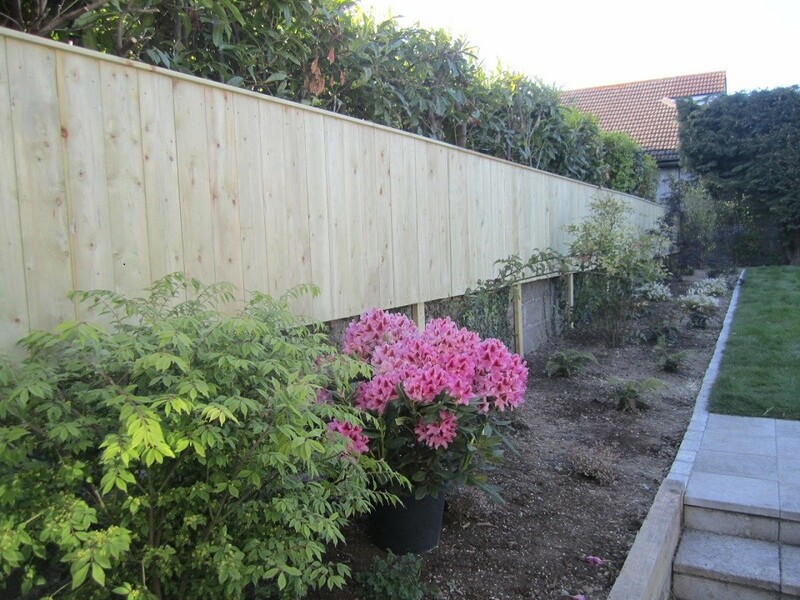 All year-round interest was achieved using mostly evergreen shrub species. 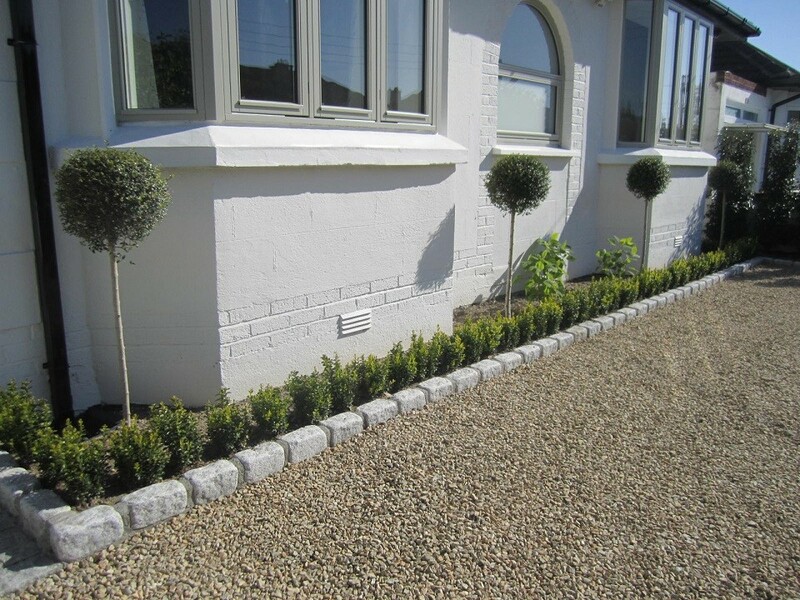 The planting for the front included Ligustrum, Acer palmatum ‘Bloodgood’, Eirica carnea spp., Laurus, Buxus sempervirens, Ligustrum delavayum standards, Hydrangea ‘Annabelle’, Buxus balls, Photinia ‘Red Robin standards. 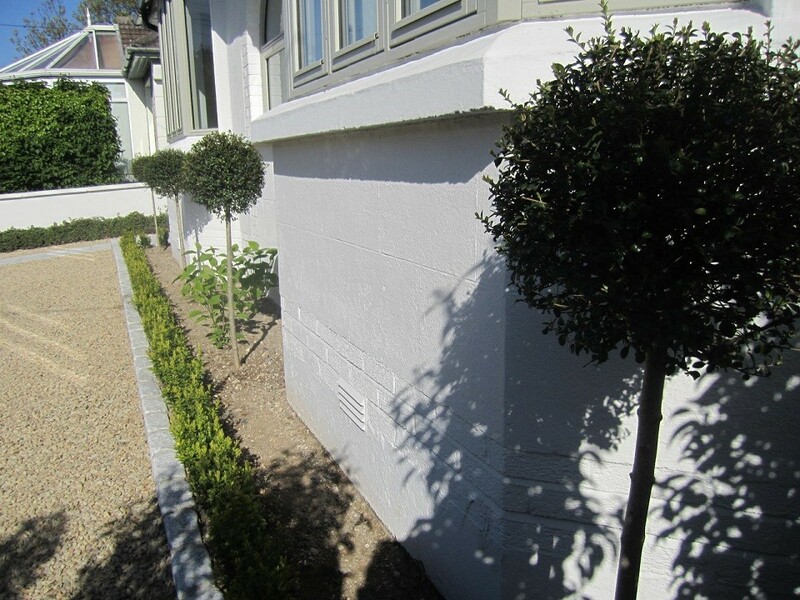 The planting for the back included Lavandula ‘Hidcote’, Pittosporum tenuifolium ‘Variegatum’, Drimys winterii, Epimedium, Berberis ‘Tom Thumb’, Exochorda, Diosma, Ilex, Aucuba japonica, Dodonea, Halimnocistus, Skimmia japonica, Sambucus, Deutzia, Viburnum davidii, Nandine domestica, Polystichum steiferum, Myrtus, Euonymus alatus, Alchemilla mollis. 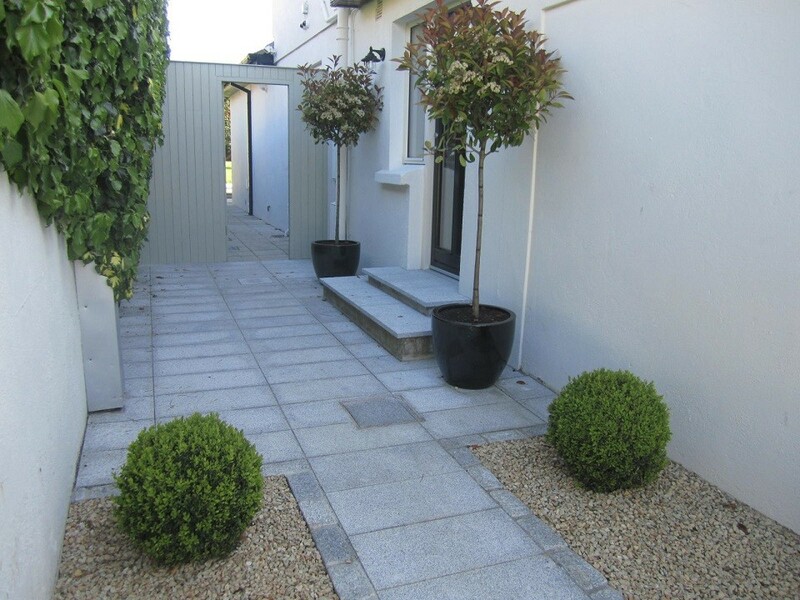 If you require an award-winning Dublin landscaping designer/contractor contact Kevin Baumann on 086 8198444.